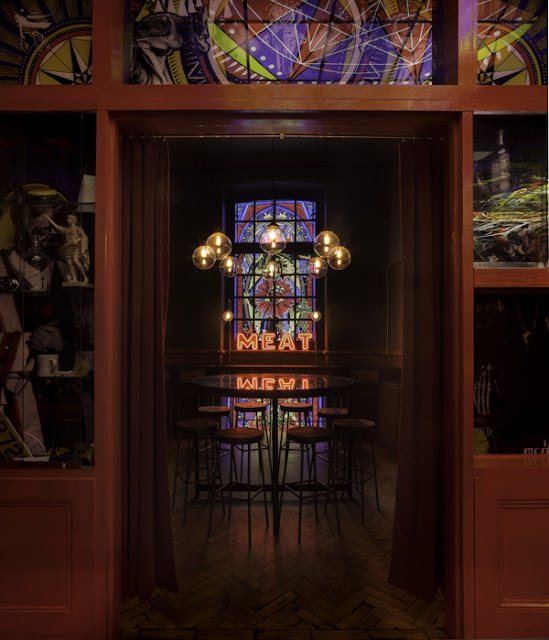 Interior architects Shed have completed the latest eatery in Yianni Papoutsis's meat series. 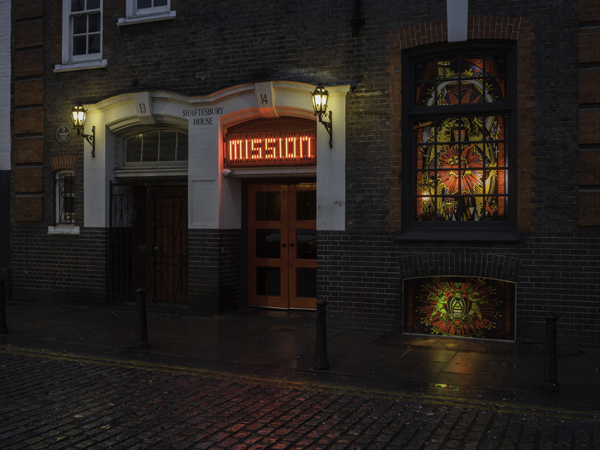 Called MEATmission, the restaurant is housed in a former Victorian Mission located just behind east London's hip Hoxton Square, and specialises in meat, liquor, burgers, cocktails and beer. 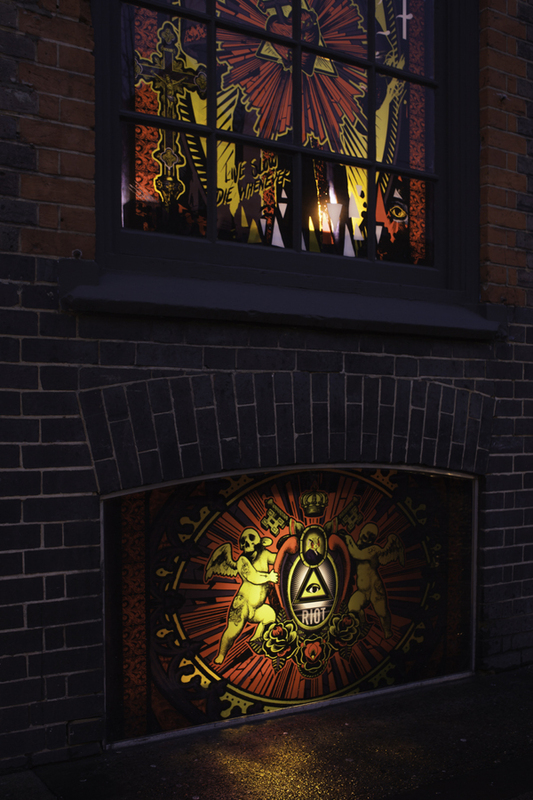 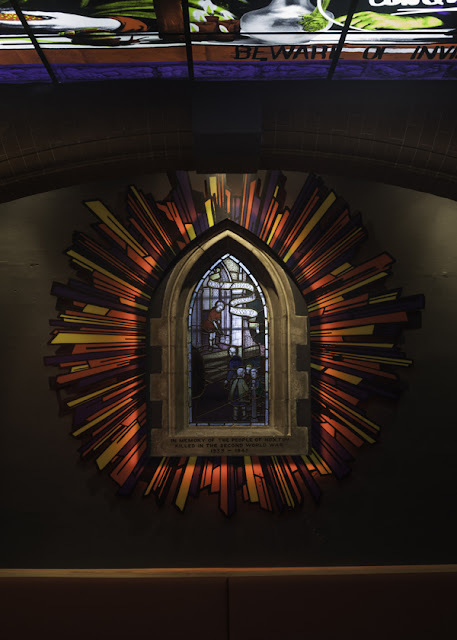 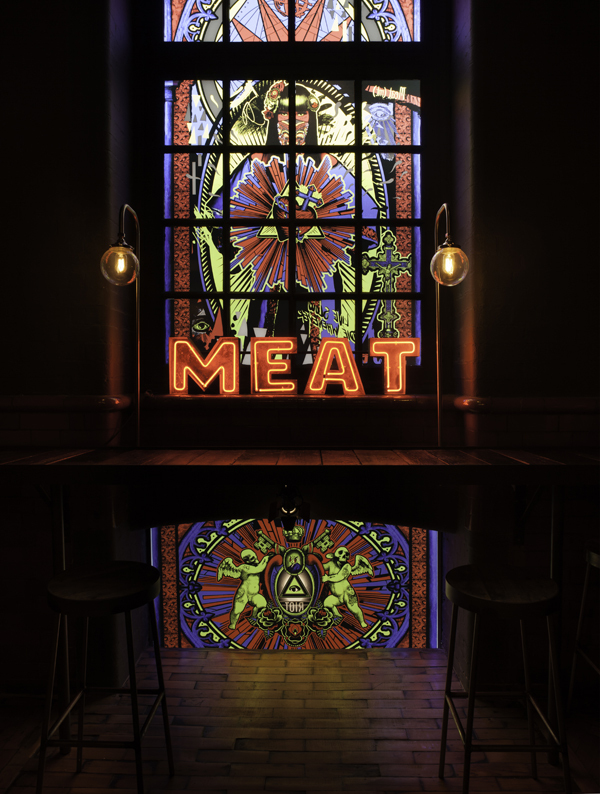 Shed worked with the history of the building, imagining, "If Meat did a mission what would it be?" 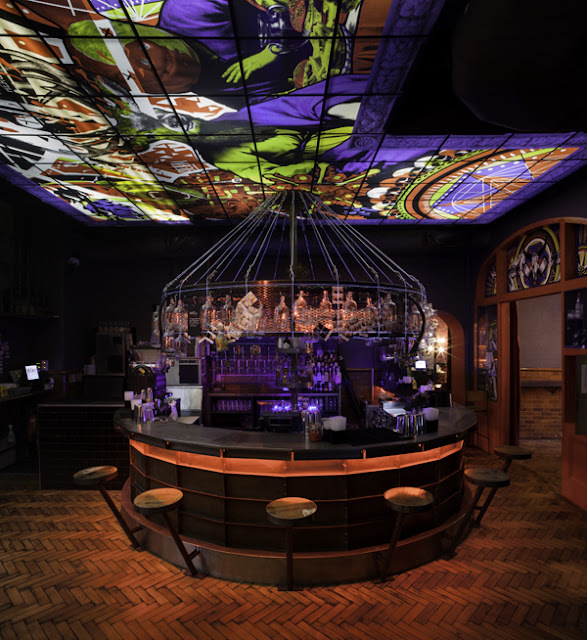 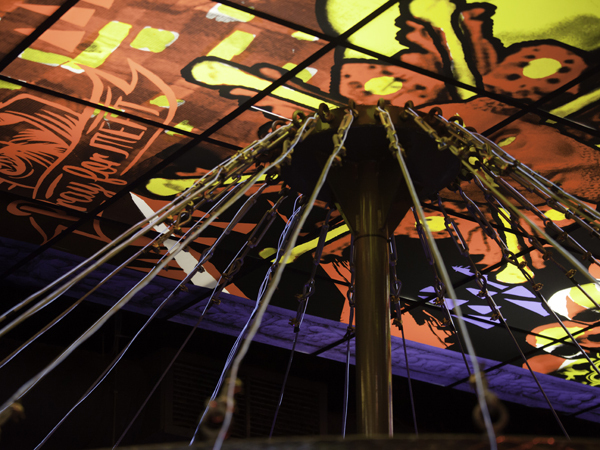 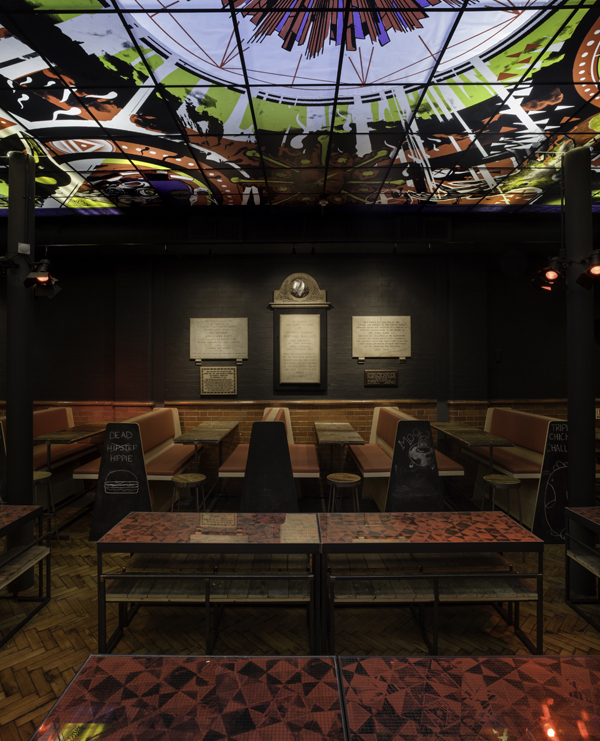 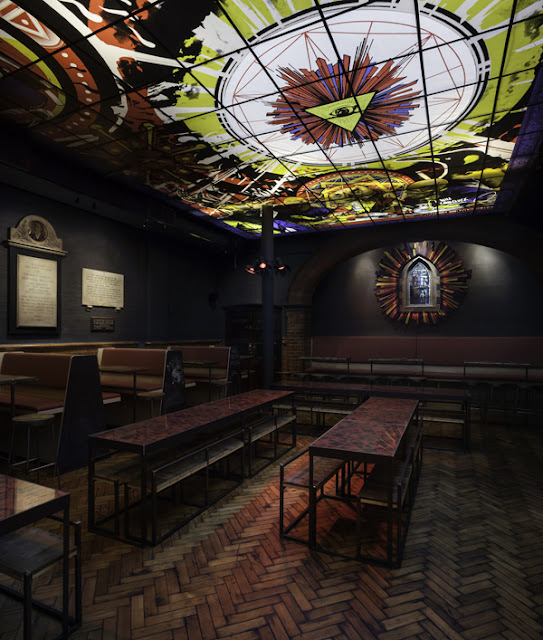 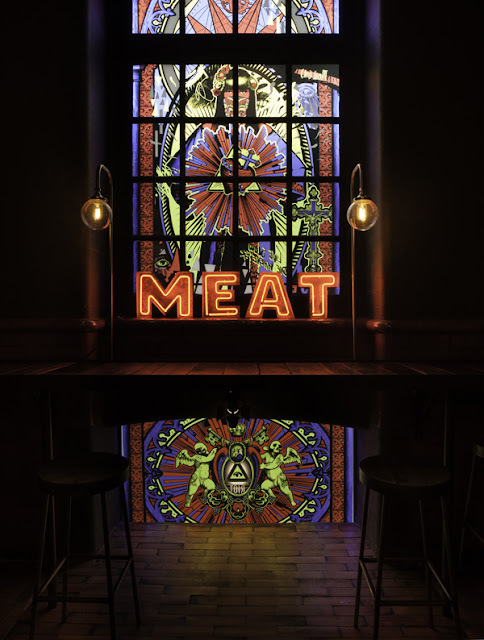 The results are as grungy and extreme as those who have eaten at Meat Liquor or Meat Market would expect: a blacked-out red neon sign announces the restaurant, windows are printed with illustrations that glow out onto the street, and the interior features a stained glass suspended ceiling by ilovedust as well as a circular, steel-tiled bar outlined in blue wire. 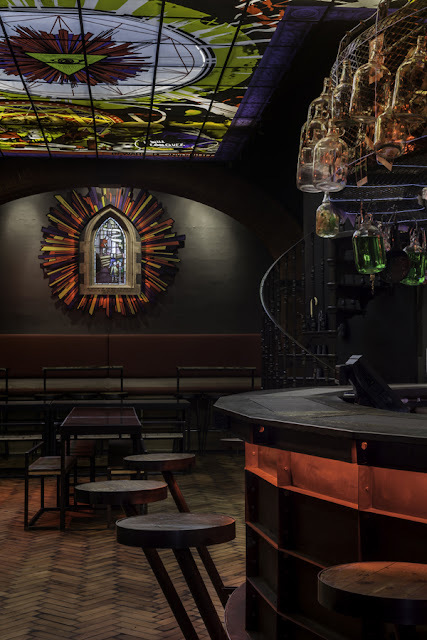 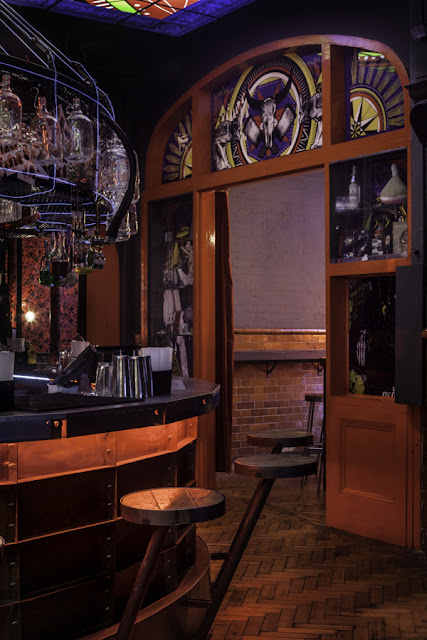 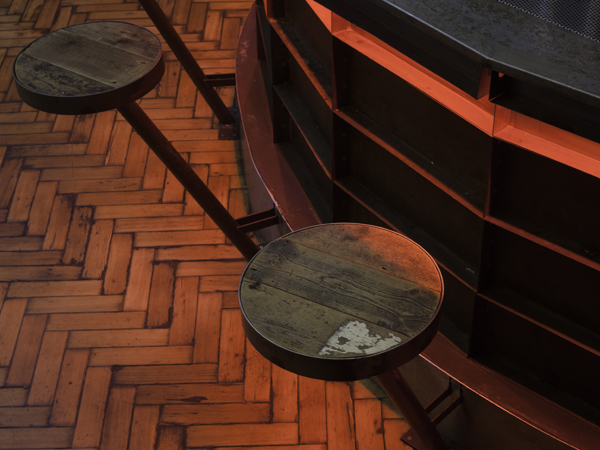 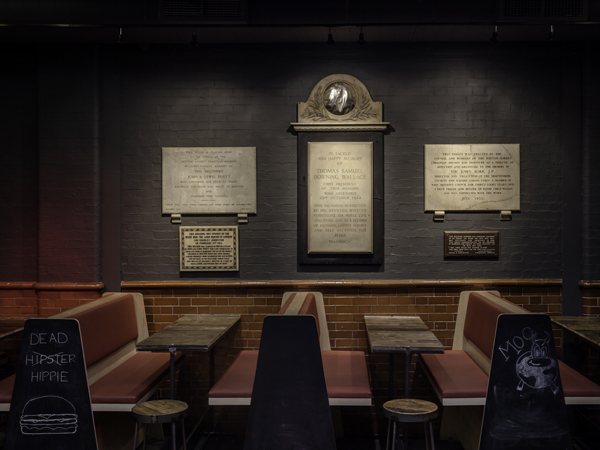 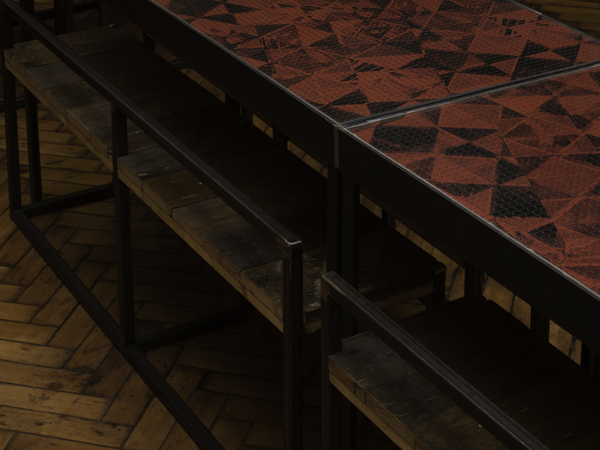 The bench seating is made of reclaimed timber and tempered steel, and the building's original herringbone floor has been left exposed - as have the beer lines extending around the bar. 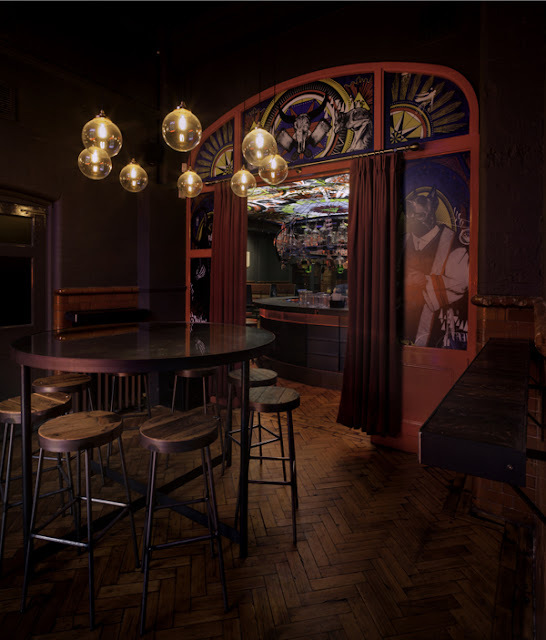 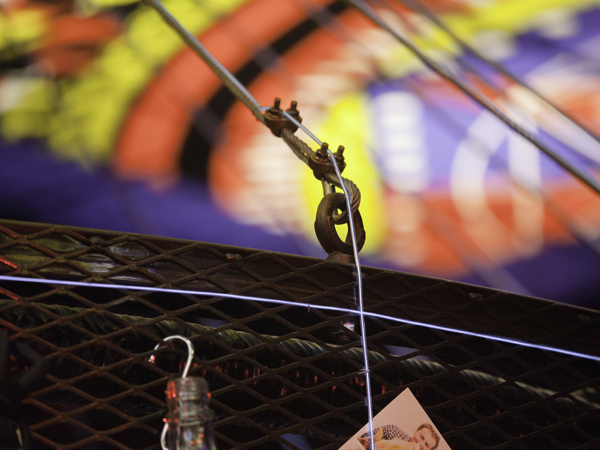 Premium leather booth seating lines the main arena, so that customers can choose to sit on the sidelines and observe, or join the fray. 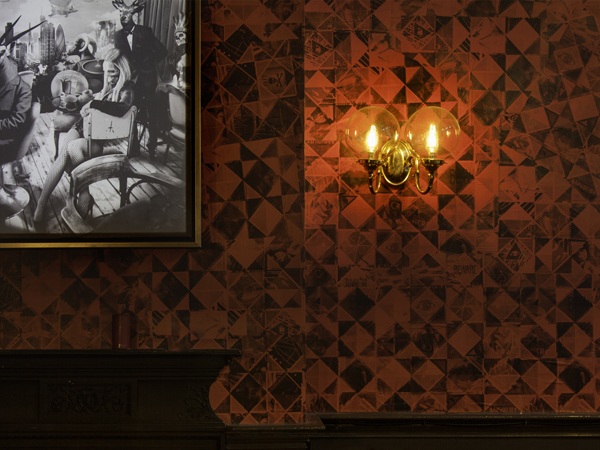 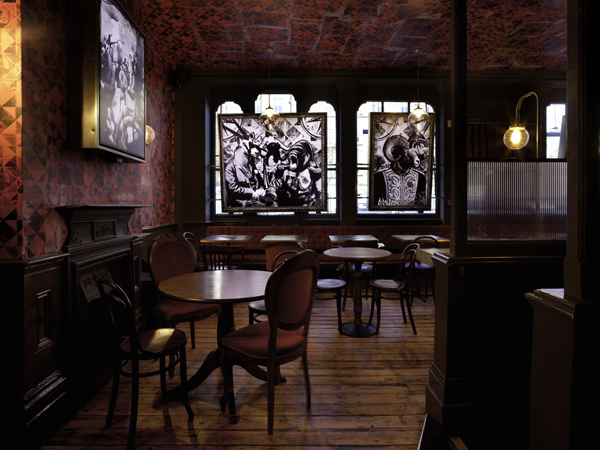 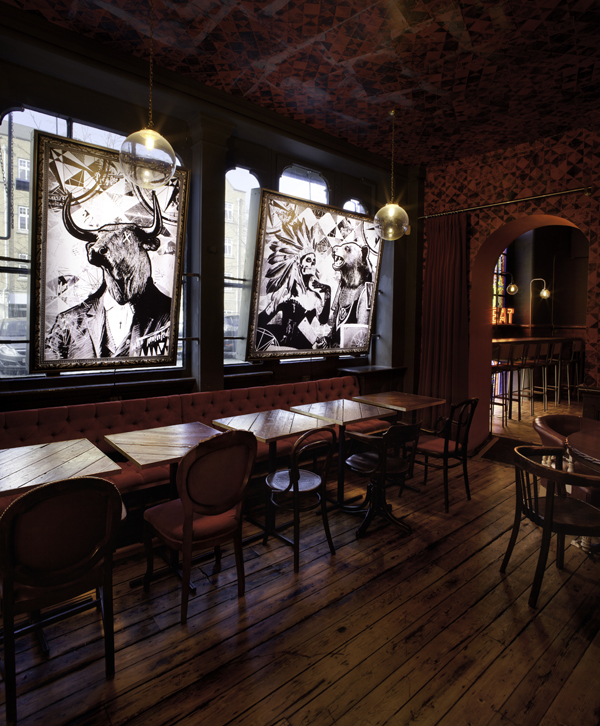 A Private Room is available, sealed off from the main area, and an intimate Sitting Room, complete with red velvet banquettes, is where - for the first time - customers can reserve a table. 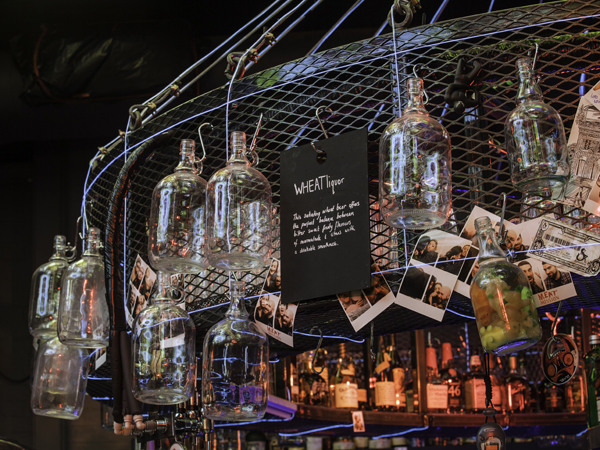 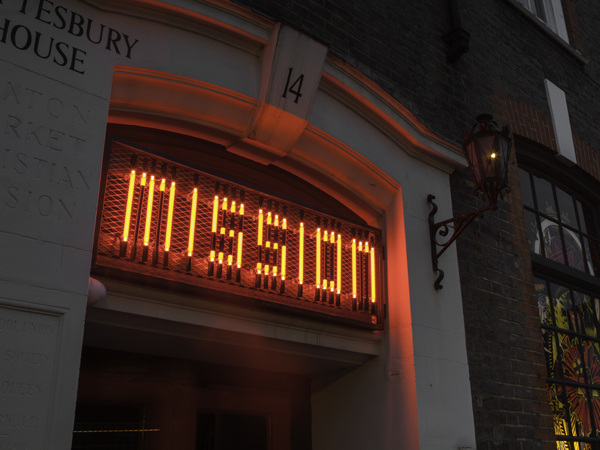 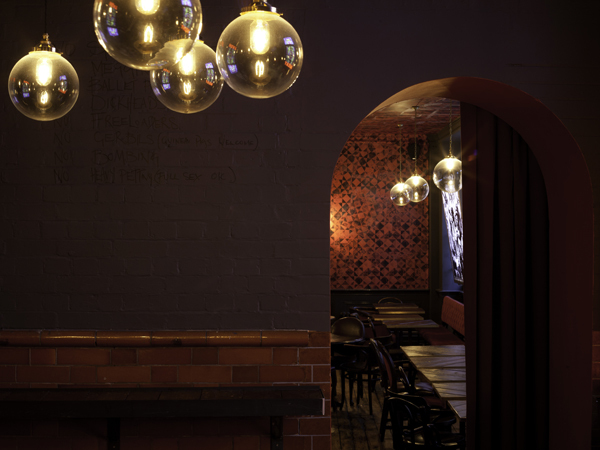 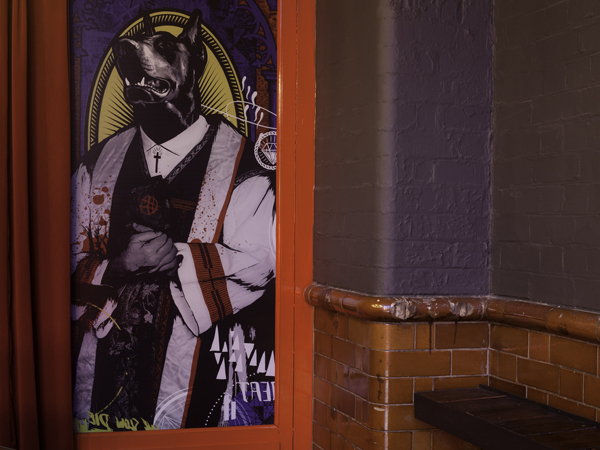 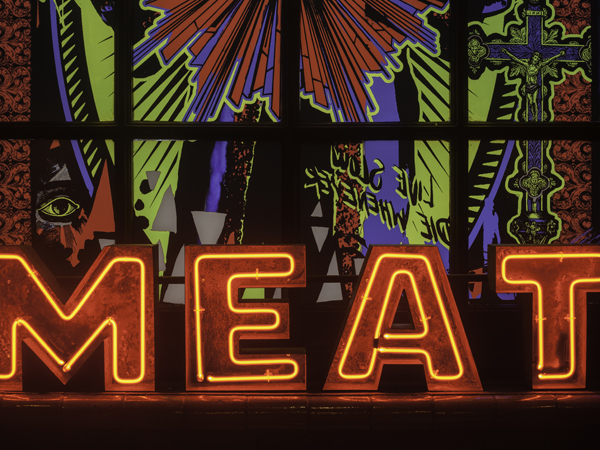 MEATmission is located at 4-15 Hoxton Market, London N1 6HG.